Today marks two years since Jay and I sat in a cold Doctors office at the hospital and had our hearts shatter. Our world crumbled at our feet, we couldn’t breathe, we couldn’t even speak. The Doctors gave us the diagnosis and left the room and allowed us be alone. When they came back, they handed us two pieces of paper, one with the dignosis and one with BDSRA.org information. The only thing they said to us was that they were sorry, there was no cure and that it was fatal. “Take him home and make as many memories as you can.” As parents we should not have to be living moment to moment, but in reality shouldn’t we all be? It is hard to reconcile it my mind that we should make wonderful memories all the time while knowing he will pass away before us. This is whag I wrote two years ago and is about all I can say for now. It is a long read, but gives more information than I can give today. Nathan started having trouble with his eyes in Kindergarten in 2009. It was picked up in a school screening. We took him to the eye Doctor and he was prescribed glasses. Again, I didn’t feel that the prescription was correct. He was still having a hard time. We took him to another eye Doctor who wrote a different prescription that again didn’t feel right. We finally got on board witht the Chief Opthomologist at Children’s Hospital, who started to perform more tests. He came back with a diagnosis of Optic Atrophy. His vision went from 20/40 to 20/800 in a matter of months. It was not long after that diagnosis that Nathan was considered light perceptive only. Our son had lost his ability to see. This broke our hearts in a way that words cannot describe. 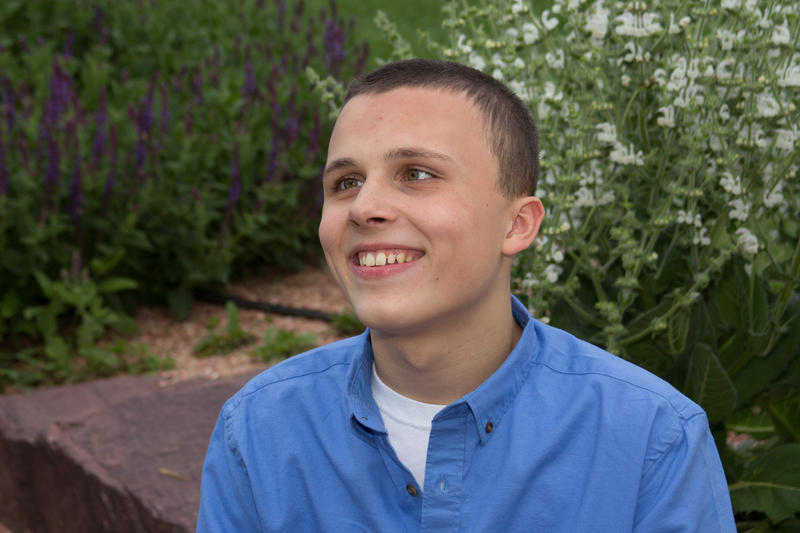 In July of 2012, Nathan was admitted to the Nueropsych facility of Children’s Hospital for evaluation. They wanted to take him off all his medications in a safe environment and see what they could do to help him. They performed the ADOS test which confirmed that Nathan did have Autism. They changed his medications and we were sent home and went about life. We now were dealing with two diagnosis, Autism and blindness. We felt like we could deal with Autism. But to be hit with your child not being able to see was doubly devastating. This is a little boy who use to play soccer and was good at it. He played basketball and loved it and now he was no longer able to to those things. It broke my husbands heart. He didn’t have a little boy to play catch with or go play golf with. That was something that every father deserves to be able to do with his son and now Jay couldn’t. They were both robbed of that opportunity. My heart aches for both of them that they missed out on that. My daughter does not have a brother that can play with her in the same way that she sees her friends play with her siblings. That breaks my heart for her. My son can’t see me when I talk to him and that breaks my heart for me. We have been going through rigorous DNA testing with Nathan for three years. It has been such a long process full of blood draws, sking biopsys, MRI’s, EEG’s, and numerous misdiagnosises and taken us in so many directions that at times I didn’t know which way was up. In December of 2014, Children’s Hospital in Denver did a full exome panel to see if they could find out what was happening with Nathan. He was regressing in areas that were concerning. This was the last test that they could perform to see if they could find anything. On April 8, 2015 we went in for the results. They told us that this was the first time that anything had ever shown up on his DNA testing. They had a lead. Since the results were done on a computer based program they didn’t have the ability to study the gene directly. They told us what they suspected it might be and wanted to do one more blood test to confirm it. They would have to send the blood to Baylor so that a set of scientists could look at the gene directly. This would take another 6 weeks to get confirmation or denial of their suspicions. At that time we were not willing to share what they thought it might be. Some part of me thought that if I said it out loud it would be true. If I kept it to myself, then of course it would be negative. I prayed harder than I have prayed before. I worried inside and hoped that this would not be what they found. We set our follow up appointment for June 10, 2015 and sat on pins and needles in anticipation of that day. They requested that we not bring Nathan to this appointment as we never want to discuss such important matters in front of him. We have always wanted to protect him and his innocence. I received a call on June 9 saying the results were not back yet and that we may have to reschedule the appointment. As you could imagine, my heart sank. We had geared ourselves up for this day and I don’t know that we could have gone any longer. She said she would call me in the morning if we needed to reschedule. We never got a call, so we knew it was time to go hear the news. We went to the hospital and I don’t think Jay and I spoke much on that drive. We were both so anxious of what we would hear. In my heart, I really thought that they were going to tell us that it was negative. The genetic counselor came in and said we have an answer. Jay and I both absolutely broke down. All the fears that we were dreading just came true. We sobbed and held eachother and cried out No! She left us alone for awhile to ourselves to process the news. Then her and the geneticist came in to talk about what it all meant. 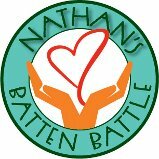 It is with the heaviest of hearts that I have to let everyone know that Nathan was diagnosed with Juvenille Batten Disease. Batten disease is a neurodegenerative disorder. There is no treatment, there is no cure, it is fatal. It is usually first diagnosed with vision loss. Eventually, he will develop seizures. Then his muscles will weaken to the point where he will no longer be able to walk or talk and he will be bedridden. Eventually, he will need a feeding tube as he will no longer be able to feed himself. And then, eventually, he will die. The lifespan for this horrible disease is late teens to early twenties. There is too much to even write about this horrible disease so if you want to research it you can go to http://www.bdsra.org. I do not have to words to convey how broken hearted we are. You never plan on hearing news like this for your child. You want everything for your kids. You want them to be healthy and live a long happy life, well past your own life. You do not want to bury your own child. This is now something that we have to worry about. This is our worst nightmare and we really don’t know what to do. I ask that you share this page with at least one person in the hopes of spreading more awareness. This is such a rare disease that it is hard to connect with other families. If we can spread the word, then maybe more awareness will come to this and reasearching and funding will become more prevalent. We thank you for keeping our family in your thoughts and prayers. We need them now more than ever. Thank you to everyone who has reached out to us. We are so thankful for the support that we have received. Our hearts break all over again reading this. But we do know that you and Jay have taken the doctors advise to “make as many memories as possible” with Nathan. He and Madison have been blessed with the best parents in you and Jay. Your fierce fight for everything possible for them both is awe inspiring to everyone that loves your family. Julius and I pray for you unceasingly and share your posts to raise awareness of this evil disease. We thank God for creating such parents to take of Nathan and Madison. We love you all.